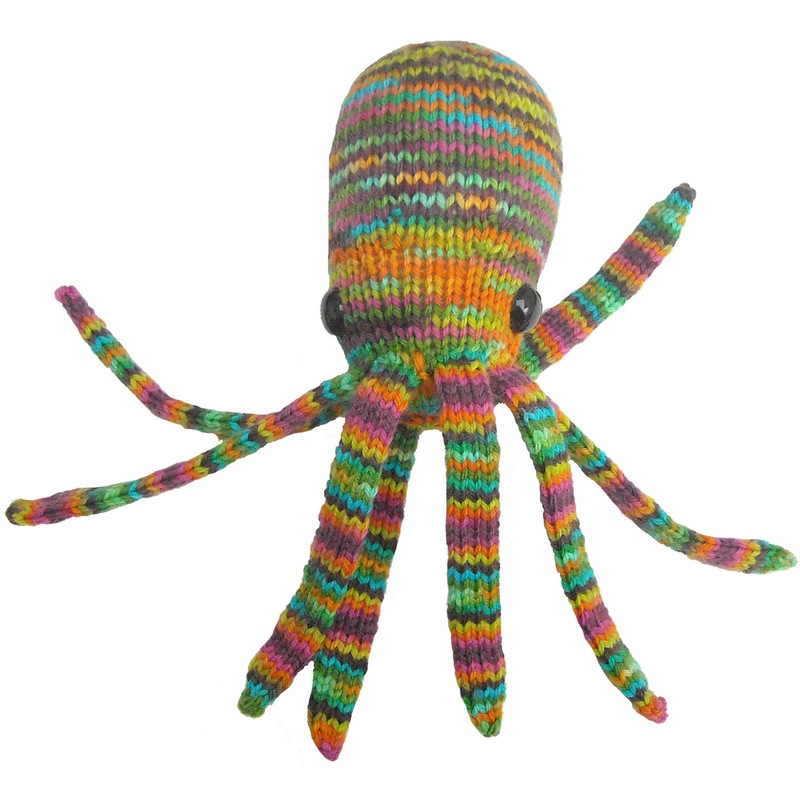 I'm excited to announce that Nicole the Notorious Octopus is available for purchase! 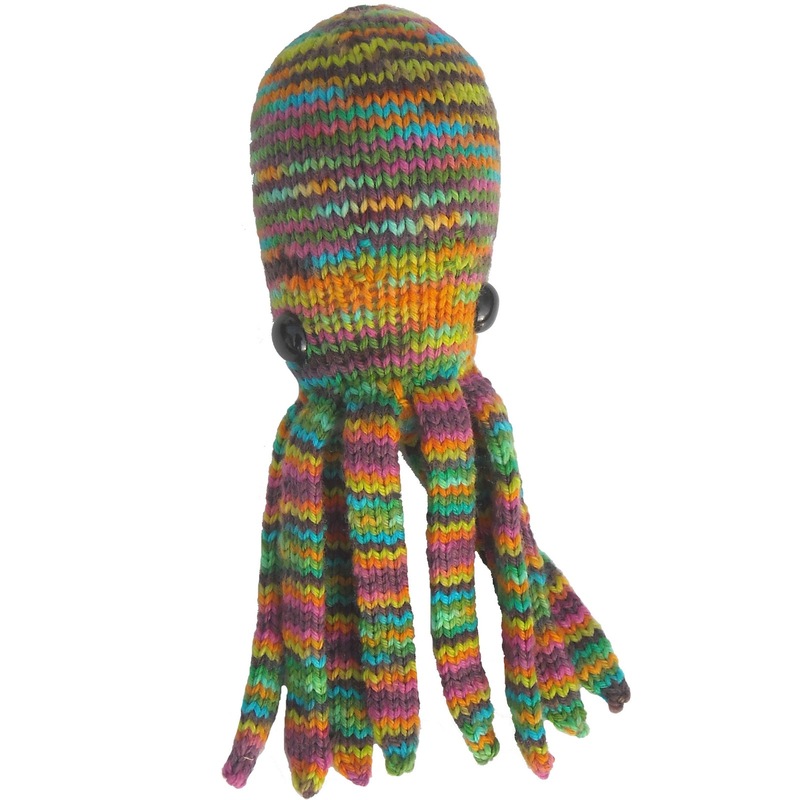 She was a club shipment for the Dancing Dog Dyeworks last yarn club, and now I get to share her with everyone! She has a special place in my heart, the yarn was named after yours truly, and she celebrates my love for all things aquatic. Got get your pattern, and knit a Nicole today!